New Zealand's newest North Island motor racing facility + events/convention centre, situated 60 km south of Auckland and 65 km north of Hamilton. 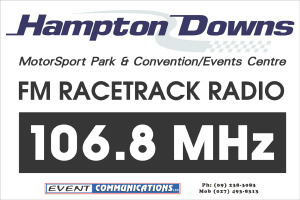 Hampton Downs incorporates leading edge communications technologies including an IPTV system. Satellite & digital terrestrial receive systems were installed by Event Communications to provide reception of SKY & FTA Networks (Freeview) for ingest into the IPTV system. Installation/wall mounting of televisions & associated IPTV set top boxes was completed by ECL personnel through many of the 80 apartments. At the "VIP Petfoods 12 hour" race held in August 2011, Event Communications provided linking facilities to allow "live timing" through the 80 apartments via the IPTV system. Temporary WiFi hot-spots (Ruckus AP's) were also installed to provide wireless connectivity to pit garages & paddock area allowing access to the track timing feed + internet. 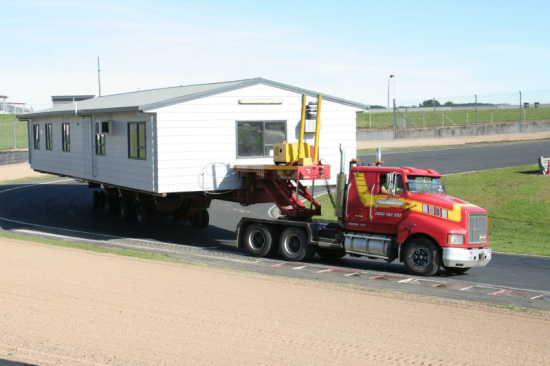 Truck/House racing gets the green light @ Hampton Downs, dates to be confirmed.. The first of many C-Band satellite dishes is now installed & operational. A newly refurbished Patriot 3.0m solid antenna is now receiving television programming from Intelsat 19 @ 166E for ingest into the IPTV system. Event Communications along with College Hill Productions recently completed an upgrade of the existing Audio PA sound system. New professional grade amplifiers were installed along with a Whirlwind zone manager to handle "Pit Calling" & race commentary requirements. Further upgrades & expansion of the system will be undertaken as required. Event Communications along with College Hill Productions recently completed installation of additional speakers covering Turns 2, 7 & 8. This was first used at the D1NZ Grand Final held on the 6th & 7th of April 2012. We have just completed installation of a Low Power FM radio system (106.8 MHz) to allow access to the track commentary & music. This system will also feed amplified speakers deployed at various positions around the track. 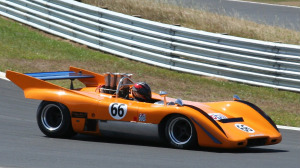 We are currently involved with the Comms build in support of the V8 SuperTourers NZ inaugural round at Hampton Downs MotorSport Park (17 - 19 February 2012).